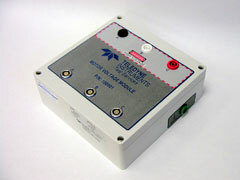 The Teledyne Test Services (TTS) Motor Voltage Module (MVM) is used to measure motor voltages on 3-phase AC induction motors. The system consists of three isolated step-down transformers in an enclosure with three cables and three AC motor current probes. The MVM converts high-level AC voltages to low-level signals that can be input to the QUIKLOOK 3 or QL II+. 160011MM QUIKLOOK to MVM Cable Probe Cable Set (3 cables) 15 ft.
160012MM QUIKLOOK to Current Probe Cable Set (3 cables) 15 ft.
160012MF MVM QUIKLOOK to Current Probe Cable Set (3 cables) 15 ft.